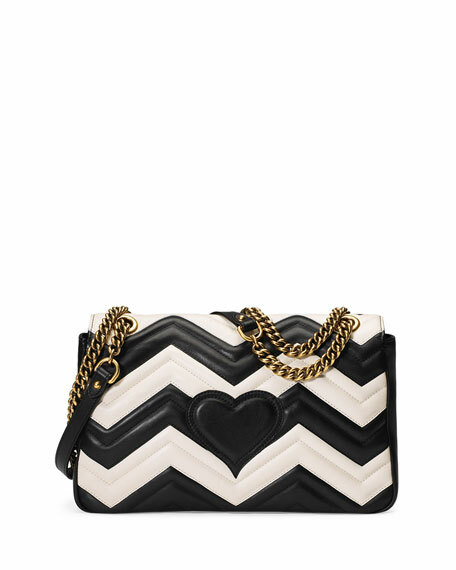 Gucci "GG Marmont" chevron matelasse leather shoulder bag. Curb chain shoulder strap loops through top, 11.8" drop. 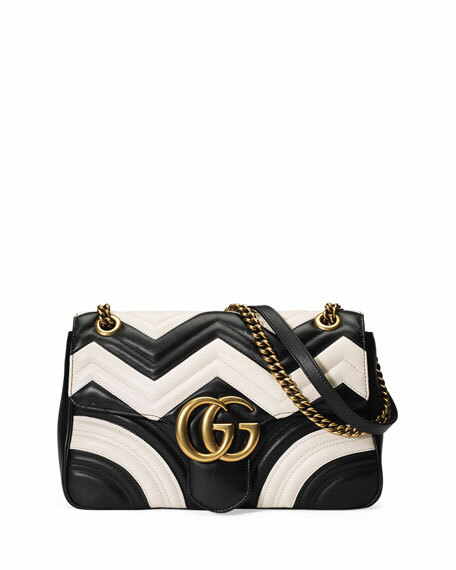 Flap top with antiqued GG buckle. Inside, microfiber lining; zip and slip pockets. 10"H x 13"W x 3"D.
For in-store inquiries, use sku #1852217.